The Liberty Center is a multi-use center consisting of over 100 acres of shops, restaurants, residences, and many small business and retail. 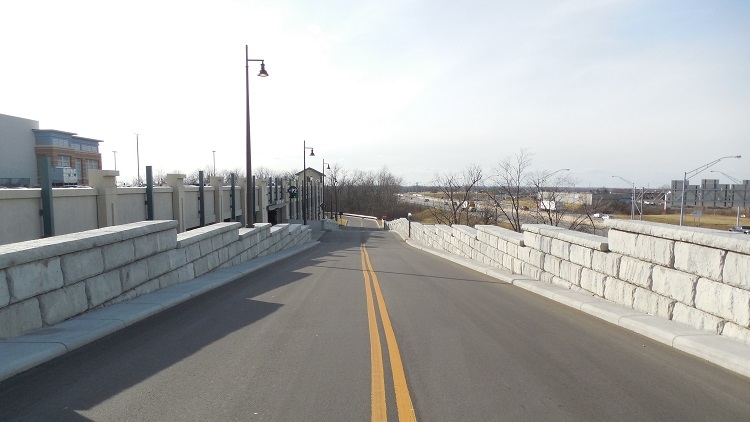 The site called for seven retaining walls, two of which were design/build to withstand vehicular impact and support two bridge entrances to the parking garage. Positive Connection (PC) Units were used to reinforce the fill material that structurally supports the driveway to the parking structures. 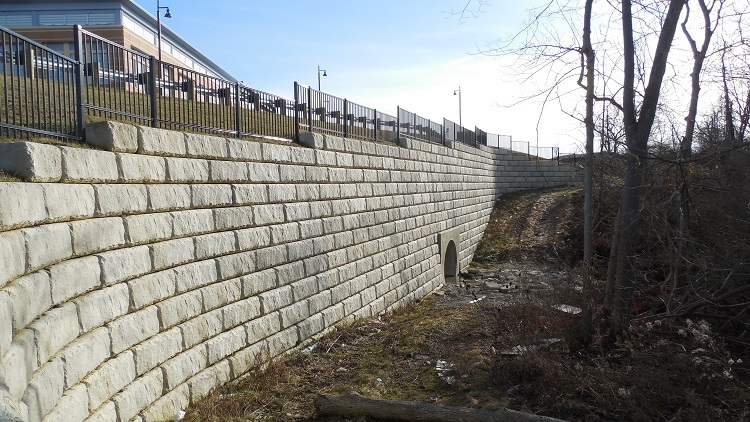 Another PC Wall was used to fill grade at the retail trucking docks and was designed to support heavy loaded vehicles. 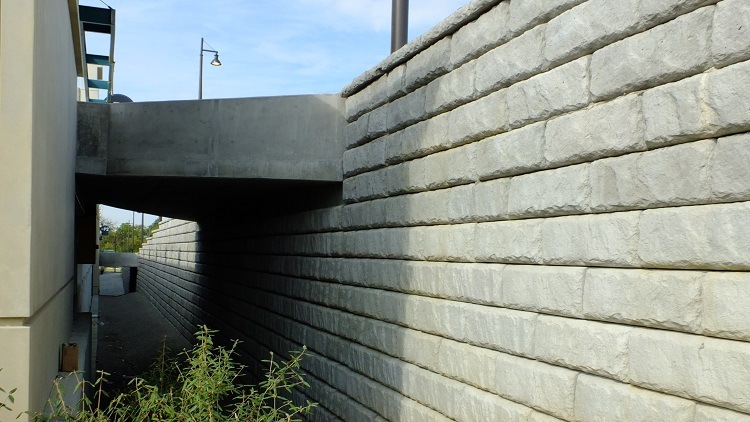 Another PC Wall was designed with a large storm sewer culvert coming through the middle of it that supports the primary drainage area for the entire property. General Contractor: Coppage Construction Company, Inc.